Our Application for the 2018 Healthy Workplace Award has now closed. Please check back for our winners announced on February 1, 2019 at our First Friday Breakfast! Stay tuned for Wellness Week 2019 announcement and schedule of activities! 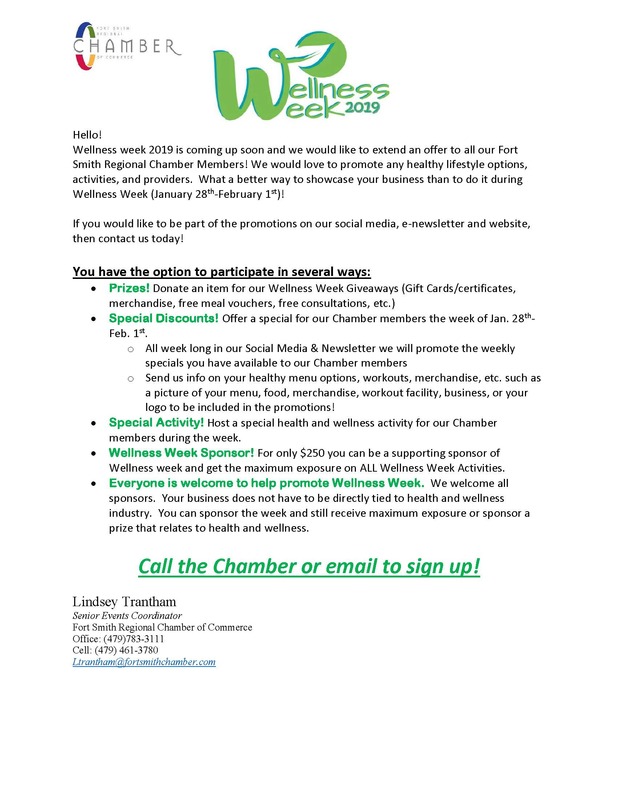 Want to participate in our 2019 Wellness Week? Please check out more information about our sponsorship opportunities, promotion of discounts, and options to list your healthy activities with our week long focus on employee and organizational health.